After graduating from Coastal Carolina University, Melanie Emery returned to her home state of New York and attended St. John’s School of Law. She has been licensed as an Attorney in the State of New York since 2001. She focused primarily on Residential and Commercial Real Estate during her practice career in New York representing clients from single family homes to investors purchasing multi-million dollar high-rise buildings. She is well versed in the areas of Environmental Law and Zoning. She relocated to the DC Metro Area and began practicing in the State of Maryland and The District of Columbia in 2006. Again focusing on Residential/Commercial Real Estate and Telecommunications. During her time practicing in those areas she again represented various Buyers and Sellers of Real Estate, Residential Home Builders and Title Insurance Underwriters. 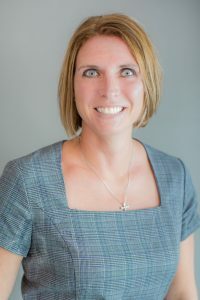 Ms. Emery relocated to the great State of South Carolina in 2009, opened Emery Law in 2012 and has been practicing in Horry County ever since. Ms. Emery and her family live in Murrells Inlet, SC. She is blessed with five beautiful children, one of which is proudly attending her alma mater.